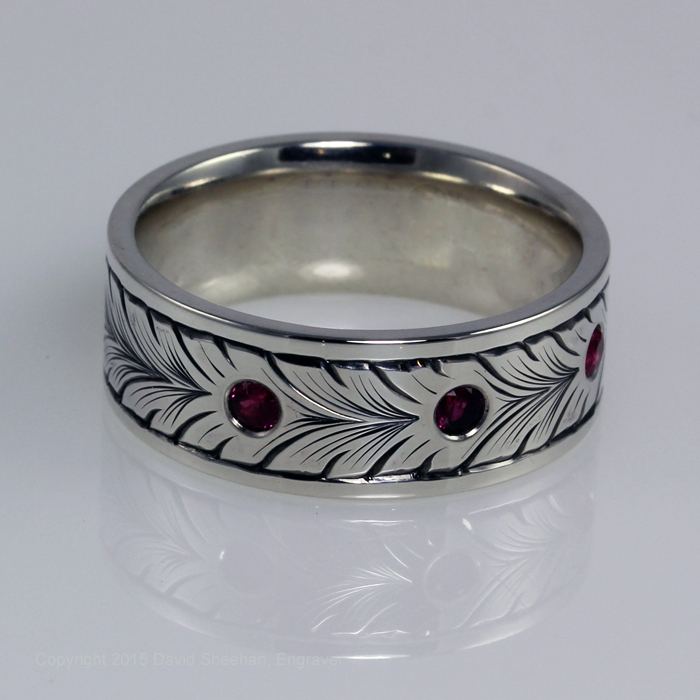 This is a Sterling Silver size 10 comfort fit ring which was hand engraved with a running leaf design. 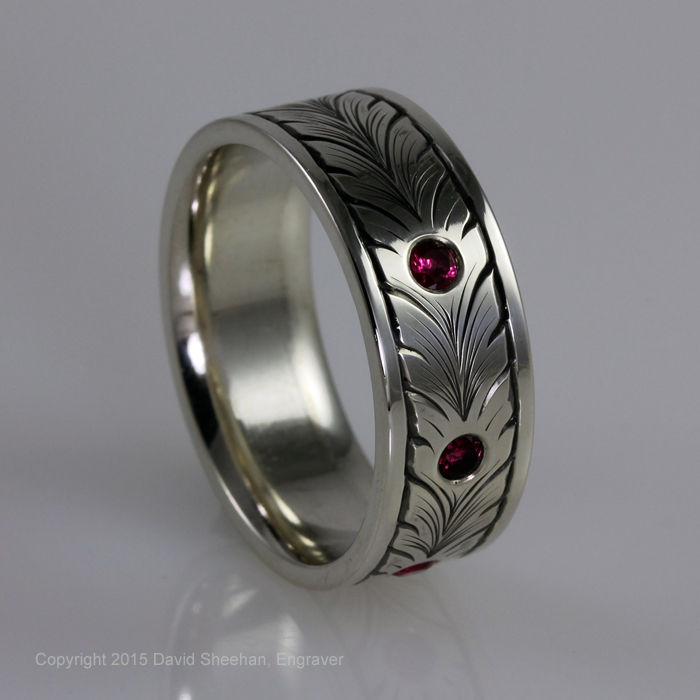 3 Rubies were flush set into the ring. 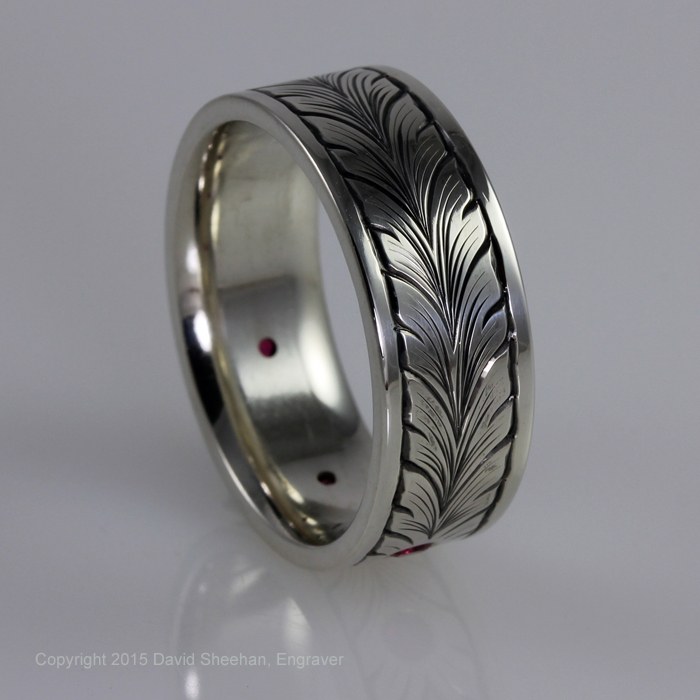 This type of hand engraved design has been very popular.